Relay Creative Group welcomed us and took our brand from ideas to fully developed visual communication. In a very short process they defined our message, brand story, logo, website, video, corporate identity and collateral print design. They have the passion to support your mission and carry it through to completion. 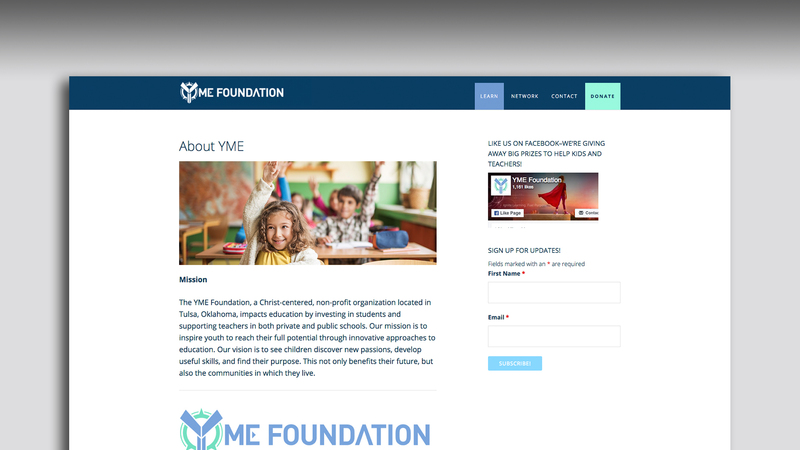 Working with the YME Foundation to establish their brand was invigorating and inspiring. Sometimes organizations have a vision, but it is like a shotgun blast. Our job was to refine the messaging and make it focused. We started our creative brief with bagels, coffee and prayer! 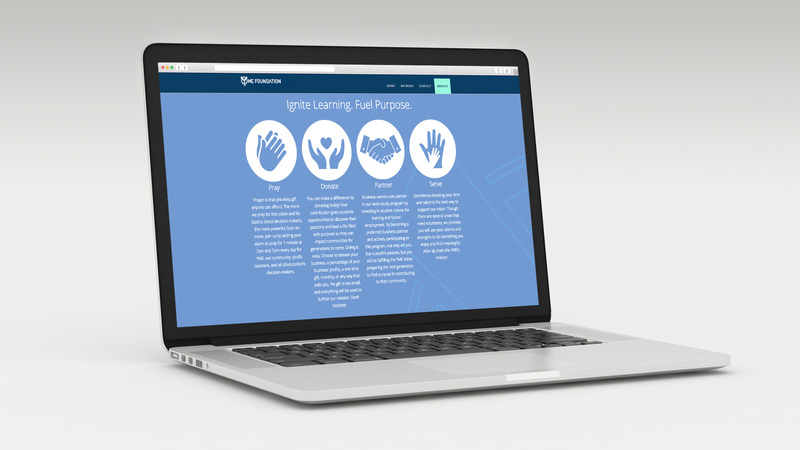 After hearing the passion of YME founder, Jacob Schellenberg, we began working on the branding and defining the target. We created a logo modification to an existing sketch, a mobile-responsive website, corporate identity and a media kit for distribution. 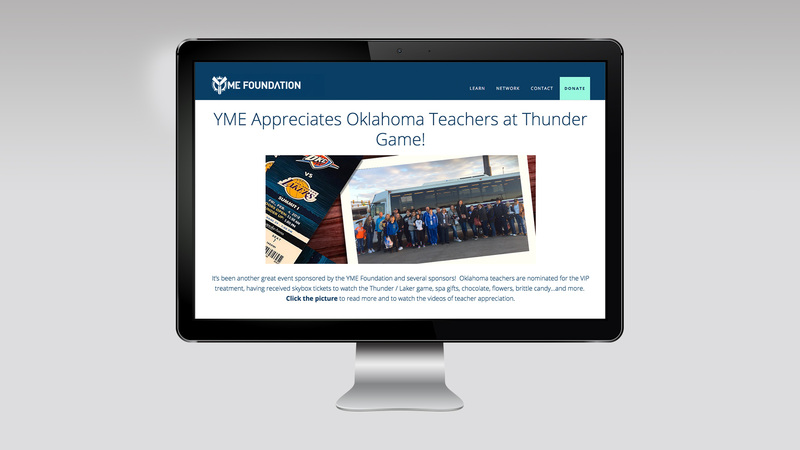 In a campaign for YME Teacher Appreciation, Relay Creative Group worked with Channel 8 morning show Good Day Tulsa to bring visibility. We were also responsible for Jacob appearing on Joy In Our Town, a TBN community program in Tulsa. Website blogging and social media posts were executed to increase followers and fans.